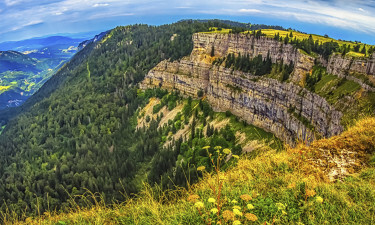 The Dordogne department is located in southwestern France where the summers are hot and the scenery is jaw dropping. The river Dordogne wiggles its way for 300 miles between the Auvergne Mountains and Bordeaux and this waterway is the centrepiece for the whole region. There are pretty villages on the river’s banks along with sandy beaches, canoe launches, picnic spots and excellent places to eat. 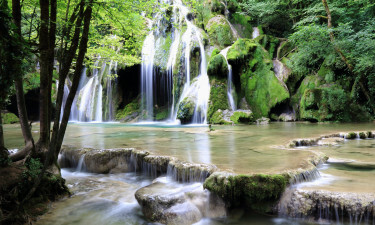 Choose the Dordogne for your next luxury camping trip and see why this area is loved by so many. 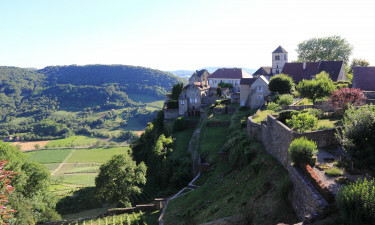 Why should I camp in the Dordogne? The French and English fought many times over the Dordogne, and a visit to the area reveals why neither country was prepared to give it up easily. The vineyards produce Bergerac wine, truffles and walnuts, and honey-hued chateaux can be spotted everywhere. Luxury camping sites in the region can be found in picturesque spots offering accommodation in some very comfortable mobile homes. This site is camping luxury at its best. Located on the river’s edge in Périgord Noir this place has lush gardens, 3 pools, a restaurant, bar and an outdoor fitness area. From the bank of the Vézère River campers can climb into a canoe, cast a fishing rod and paddle in the shallows. A small and friendly site 6km from Sarlat, this camp site has a kids’ play area, a wide pool, a restaurant, takeaway service and a grocery shop on site. Activities are arranged in high season for children and adults, so everyone can have a fun-filled holiday. Just 8km from the medieval town of Sarlat, this holiday site is in the heart of the Dordogne countryside. A spacious feel welcomes campers, and facilities include a relaxing pool complex with a main pool, toddlers’ pool and plenty of sun loungers, plus natural lake providing a pretty place to paddle and enjoy the wildlife. The Dordogne is without a coastline, but there are beach areas along the rivers where canoes set off and paddling can be enjoyed. The lush landscape, open farmland and meandering waterways are what this area is all about. The capital is Perigueux, and the large city of Bergerac is worth a visit too. Pretty villages like Sarlat, Rocamadour and Domme are nice to stroll around and partake of a light lunch or evening meal.